As content creators, it's vital to have access to the right tools. Free tools and paid tools help save us time and money while creating stunning new content that increases conversions and sales. These tools make it easier to create the best content possible so we can hit our digital marketing goals. Here, you'll find a list of the top 19 tools you can use to streamline the content creation process. These content tools are designed to help at every stage of the content process, whether you're creating researched blog posts or beautifully designed images and infographics for Pinterest and other social media sites. Canva is an online design tool that allows you to create hundreds of different graphics, beautiful images, and content materials for your customers. Hiring a graphic designer can be expensive so tools such as this one make creating everything from flyers and logos to infographics and social media icons easy and affordable. It's much easier than spending hours on Photoshop and you'll save yourself the headache that comes with design projects. Snappa is another design tool that allows you to create graphics online in minutes. While Canva is geared towards customization, Snappa is designed to make the design process quick and simple. They feature size dimension buttons that make it a breeze to create graphics for a Twitter headline image or a blog featured image. Snappa also includes access to more than 500,000 free, high-resolution images and stock photos to make your designs look professional. Gifs are a popular content form that allows you to humanize your brand. You can use a site like Giphy to source existing gifs or make your own. Gifs are a fun way to liven up your branding and can make your company seem more relatable. You can also use gifs in company tools such as Slack to boost morale and make the workplace more entertaining. What started out as silly images to get a few laughs have become one of the most popular tools for online marketing. Meme Generator allows you to take funny images and place your catchy text right on top. The site offers a very simple layout, making it a tool anyone can use. Just make sure to do some research before choosing a meme to make sure yours stands out and is on trend. 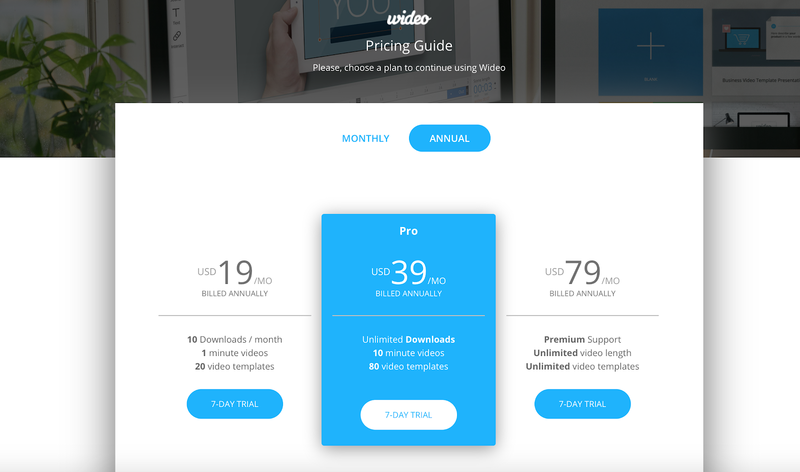 Wideo is an excellent platform for businesses that want to create presentations and animated videos. The company offers templates and explainer videos to show you how to make videos even if you have no experience at all. You can try the platform for free or sign up for one of the monthly or yearly plans depending on your content creation needs. Venngage allows you to create stunning infographics and other marketing materials such as reports, charts, and brochures. 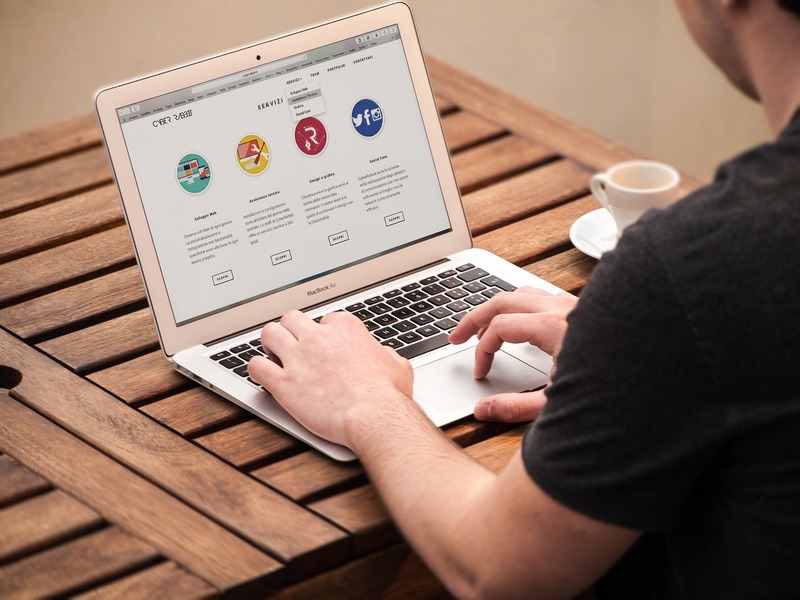 The site features a free option for beginners and paid business and premium accounts for companies that want to create dozens of infographics. Infogram is another tool that allows content marketers to create infographics and charts that catch the reader's eye. Use it to make maps and dashboards that help you visually track your business or create informational guides that offer clear guidance through the use of engaging visuals. You can connect Infogram with your Excel to create infographics and stunning visuals straight from your own data sets. Easel.ly helps you create infographics and reports for free. You don't need an account to get started. Simply click on a template and start entering your data and information. While the templates are simple and there aren't thousands of designs to choose from, this is a great site to start making infographics or for companies that only need them once in a great while. Thinglink offers business solutions for companies that want their online marketing content to be interactive. The platform allows you to create engaging content in the form of videos and images. You can use the 360-degree tool to offer a closer look at your products or infographics and product labeling tools to offer additional information about products and how they can be used. One of the most important job tasks of content marketers is to perform keyword and market research. Ahrefs makes it easy to find which keywords perform well in your industry and monitor how well content performs in your niche. You can easily identify competitors and create content to help your site rank better for certain keywords. Atlas is a database of charts and data compiled by Quartz—the global business news branch launched by Atlantic Media. You can find charts for everything from the average monthly revenue per every Netflix user to statistics on diseases and company earnings. Use the handy search function to unearth statistics in your niche and use the graphics in blog posts or social media presentations to help further your reader's understanding. SurveyMonkey is a platform that you can use to create quizzes and surveys. The platform allows you to customize surveys using your logo and branding and offers analytics so you can track how the content performs. Surveys are also a great way to gauge what your customers are interested in and understand how they react to your products and content. Evernote is an online note-taking and organizational tool that helps you jot down your ideas and keep track of everything in one place. You can take notes or write content directly in the mobile app and on your desktop. The app syncs across all platforms so you always have up-to-date information. You can also use this tool to create your content calendar and save inspiration for future pieces. The free version offers note-taking capabilities while paid versions allow you to integrate other platforms and share with team members. The Hemingway App is a desktop app designed to make your writing more clear and concise. Named after the famous author Ernest Hemingway who was noted for his pithy writing style, this app focuses on cleaning up your writing. Simply copy and paste your written content into the app and watch as it magically identifies passive voice, adverb usage, and simple phrase alternatives. The app uses five different colors to identify areas where your writing can be improved. Grammarly is an exceptional writing tool that makes checking for spelling, grammar, and plagiarism easier than ever. You can add the Grammarly Chrome extension and the AI-powered writing assistant will check your writing as you type. The tool can be used on everything from email marketing to blog writing. The tool underlines mistakes in red, making it easy to correct papers. You can also opt for the premium paid version to get access to the plagiarism checker. Writing can be hard and it's often easy to get stuck when deciding what you need to write about. That’s where the Blog Idea Generator comes in. Hubspot offers this free content creation tool to help you browse potential new article topics and content ideas to make your blog engaging. Simply type in up to five nouns and instantly get 5 blog topic ideas. You can also sign up using your email to get access to a year's worth of 250 blog ideas. If you want to start pumping out content regularly on a weekly basis, it's a good idea to hire a professional writer. These resources offer access to freelance writers that can help your content marketing team create everything from high-quality video content to social posts and white papers. The Writer Finder sources writers for you based on your desired criteria while Upwork is a job site where you can post job ads and search for writer candidates yourself. PowerPoint is one of the most widely recognized tools for making business presentations. The handy slide manager helps you create slides and organize the presentation into an easy to follow format. Tools such as PowerPoint Templates from Hubspot make it even easier to make your presentation stand out. Use vibrant colors and stunning images to make your slides stand out from the crowd. SlideShare is a hosting platform from LinkedIn that allows you to upload content from PowerPoint presentations, infographics, and documents for anyone to view. The platform boasts more than 60 million users and receives over 100 million page views every month. Using this platform can help get your content in front of millions of people, increasing your reach and furthering engagement. Simplify the content creation process by using the right tools. 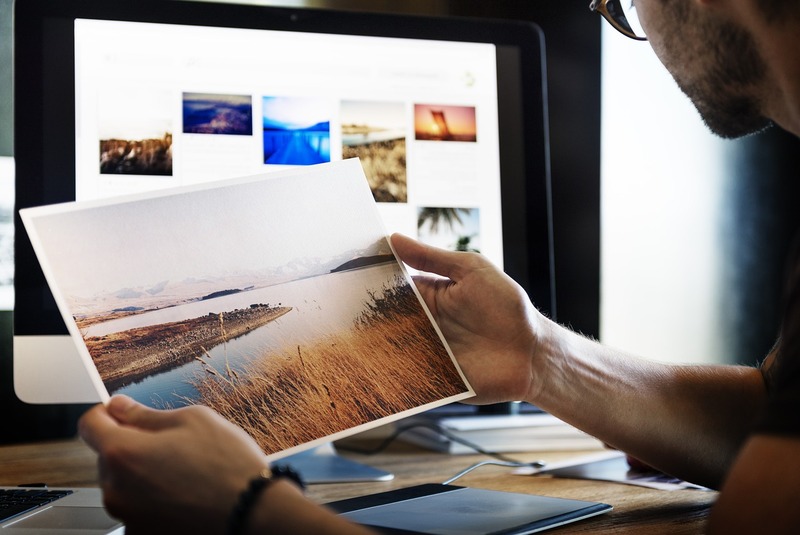 These content creation tools can help take your content marketing strategy to the next level while building trust and driving customer engagement. With these marketing tools, you're sure to start producing great content and build traffic to your site. Fabrics of contemporary colors and textures and suitable and appealing on old chairs.Modern lighting and ventilation enhance otherwise traditional rooms. Learn how to become a writer and start writing today with this handy guide. We've put this guide together to clarify what a technical writer is. You'll find out what they do, how they do it and learn where you can find technical writing job opportunities today.